I just came back from watching the Canadian Wrestling Championships, and the wrestling was fantastic. But I have to admit I also spent quite a bit of time watching the country’s top coaches interact with their athletes after matches. Now, I should point out that wrestling and swimming are about as different as you can get. Each wrestling match is unique, as the match involves acting and reacting to your opponent, while every swim race has conditions that are basically identical. And yet there is a remarkable similarity in how coaches and athletes communicate before and after a competition. • Get the athlete to analyze their own race. Identify things they think they did well, and thinks they think they need to improve upon. This can involve techniques, strategy, tactics, attitude, preparation or anything other element of a race. • For younger athletes, we sometimes need to make sure they know that a poor race doesn’t mean they are a bad person. There is one other implicit goal. The athlete should do most of the initial talking, while the coach just guides the self-analysis. I can tell you that the best coaches I know in all different sports excel at this. I witnessed this again at the wrestling championships. Something I need to personally work on. I find it amazing how many different styles and approaches there are to these debriefing talks. In wrestling, it’s very common to see coaches effectively use physical manipulations to demonstrate good and bad techniques, something that is pretty much never seen in swimming. I had the pleasure this weekend of chatting with one of Canada’s top wrestling coaches, Doug Cox, about the athlete-coach debriefing. Doug is Head Coach of the University of Guelph Gryphons and the Guelph Wrestling Club, with numerous national champions under his care. He was telling me that he prefers to do the post-competition debriefing with athletes the next day, as emotions can sometimes get in the way of the learning process. Again, something that is not typically seen in swimming, and yet obviously effective for him. The best swim coaches I’ve seen have a relationship with swimmers that the swimmers obviously trust. 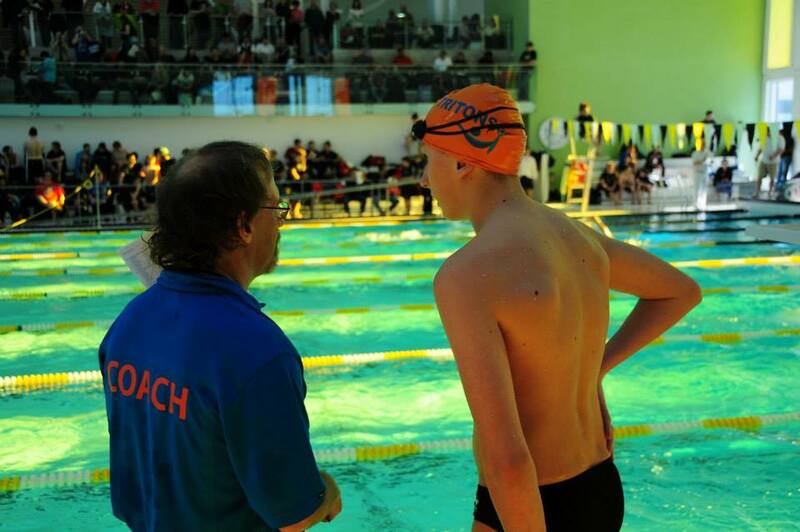 Even shy swimmers will start talking right away, with the coach listening intently. It’s very impressive to observe. I’ve also seen horribly negative talks that really bothered me. I remember one coach who was so abusive that many of his swimmers cried during the talks, other cried waiting for the talks, and some cried before they even swam, knowing that they would have one of his talks. And the team accepted this very public abuse of the swimmers before they finally fired him. Another swim coach used every good race to tell the swimmers how good a coach she is. But perhaps strangest of all, I’ve overheard one coach many times tell some swimmers that they embarrassed HIM with their performance. An interesting message. I don’t want to leave out the role of the athlete here. A very common problem is that many athletes are not ready to listen after a race they’re not happy with. Doug Cox handles this problem by delaying the debrief. In swimming, we handle this by training the athlete to put aside emotions. Both methods seem to work. But both methods still rely on the athlete handling their part of it. No race is all bad, or all good, and an inability to know what was done well and what was not pretty much dooms the next race to the same type of result. By the way, I’ve only ever heard of one situation where this talk can be ignored: after the last race of a athlete’s career. That’s an excellent opportunity to celebrate all the right things. Next Post Is Meet-Free March a Good Idea?